We’re back for our 5th consecutive year – and you’re invited to register for free! 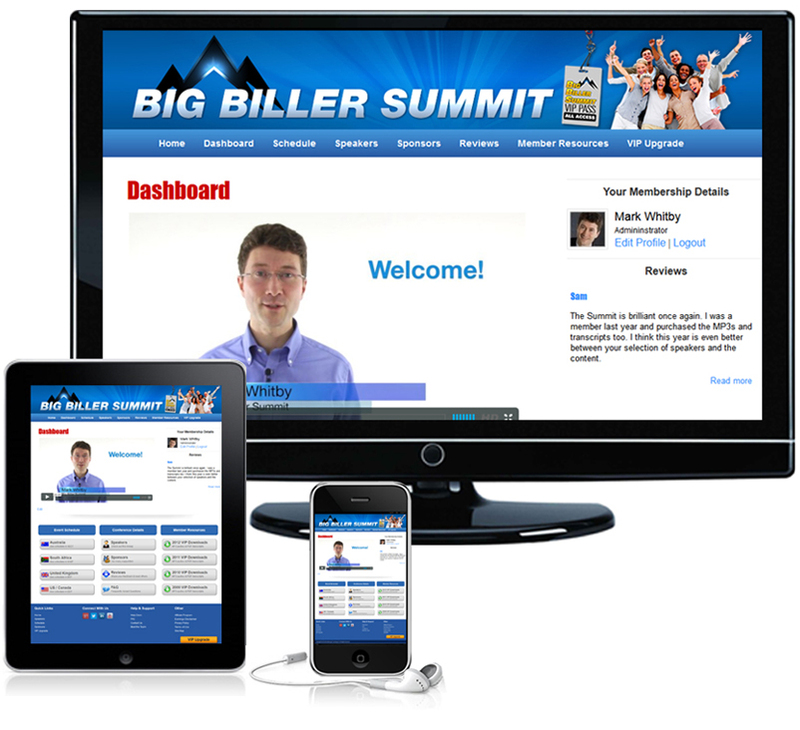 Big Biller Summit is the world’s biggest virtual conference for recruiting and staffing professionals. Last year’s Summit was attended by 2,441 recruiters from 43 countries and this is year is shaping up to be bigger and better than ever. Jon Bartos The Millionaire Recruiter. Neil Lebovits Mastering The Art Of Contracting & Staffing. Gaynor Lowndes Building a Recruitment Business in Turbulent Times. Nicky Coffin The 6 Step System To Convert Under Performers To Consistent High Billers in 14 Days Or Less. Azmat Mohammed The Recruiter Survival Guide: Securing Your Future in Recruitment. Ross Clennett What Top B2B Salespeople Do That the Rest Don’t: The Lessons for Recruiters . Fiona K Lander Join the Soft Revolution. Roy Ripper How to Recruit Superstars for Your Recruitment Business. James Osborne The Science of Selling. Barb Bruno Book 100% of the Candidates You Present. Natalie Singer It’s not about data…it’s about insight! Tips for recruiters to maintain relevance & add real value to clients. Michael Gionta Solo/Independent Recruiters: How to Double Your Placements AND Double Your Revenue in 121 Days or Less! Terry Edwards Why Clients Will Never Ever Buy from Your Staffing/Recruitment Firm and What to Do About It. Greg Doersching Hooks, Bricks, Toilets and Pride – What separates the Big Billers from the Average Recruiter. The Recruiting Conference That Comes to YOU! All training sessions are broadcast over the internet. You can participate from the convenience of your computer, telephone or mobile device. Ideal for busy recruiters. There’s no travel, no hassle… and you won’t lose a day’s production.